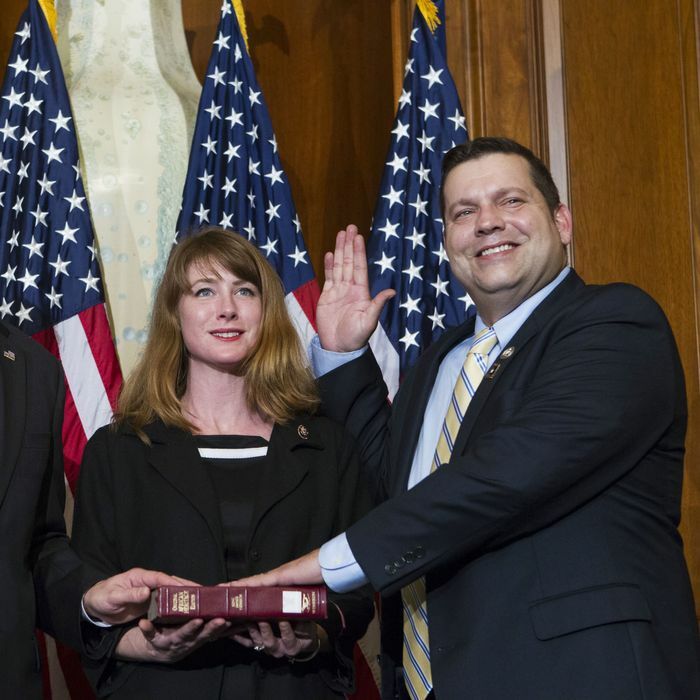 How is one to tell when Tom Garrett is in “turmoil”? He’s an emotional, garrulous personality who could be confused for someone mid-breakdown when he’s really just living another day of his life. POLITICO has spoken with four former staffers who detailed a deeply dysfunctional office, where the congressman and his wife, Flanna, often demanded that staff run personal errands outside their typical congressional duties. The couple called on staff to pick up groceries, chauffeur Garrett’s daughters to and from his Virginia district, and fetch clothes that the congressman forgot at his Washington apartment. They were even expected to watch and clean up after Sophie, their Jack Russell-Pomeranian mix, the aides said. Now as anyone who has worked on Capitol Hill can attest, this abuse of staff isn’t exactly unprecedented. When in 1978 Senator John Glenn famously called Congress “the last plantation” because it exempted itself from civil rights and other protections against employment discrimination, he wasn’t just talking about racial discrimination. Congressional staff have long toiled long hours under unpleasant circumstances, often for low pay, and being asked to do personal chores for the Sun King (or occasionally, Queen) has often come with the privilege of basking in the bright glow of power. There have been cases much worse than Garrett’s: viz, the 1979 unanimous House vote to censure Michigan Democratic representative Charles Diggs, who had been tried and convicted for demanding salary kickbacks from his staff. But deploying staff for personal needs clearly violates House ethics rules, and in egregious cases, could lead to prosecution for misappropriations of public funds. At a minimum, the Politico story will undercut any effort by Garrett to depict himself as a humble public servant his own self — instead of a petty despot who humiliates kids. That could matter this November, even though Garrett represents a pretty solidly Republican district. Just last month the Cook Political Report reclassified his race from “Likely Republican” to “Leans Republican” after it became apparent that his Democratic opponent, Leslie Cockburn, was raising more money than he was. Democratic ambitions in the district originally spiked when a photo materialized of Garrett meeting with Unite the Right organizer Jason Kessler not too long before white supremacists rallied in Charlottesville — which is in Garrett’s district — to tragic effect. Yeah, Tom Garrett really needs to clean up his act. *This has been updated with the correct spelling of Tom Garrett’s name.